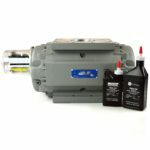 Dresser Meters and Instruments - pdblowers, Inc.
For almost a century, Dresser meters have been used for billing of commercial and industrial gas loads. Accuracy, dependability, and low maintenance are of key importance in custody transfer measurement applications. The time-proven Dresser meter is the preferred rotary positive displacement gas meter in distribution, transmission and production segments for accurate measurement of gas from the well to the burner. 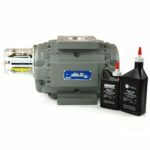 A complete line of rotary meter sizes is available to measure a wide range of gas volumes for the majority of commercial and industrial applications in custody transfer applications. Dresser meters are suitable for handling most types of clean, common gases at either constant or varying flow rates and pressure. 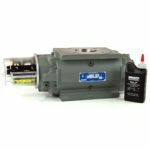 They are ideal for applications throughout the meter’s operating range, from a few ounces to full maximum allowable operating pressure. Dresser meters are widely recognized for their highly accurate measurement capabilities at both the low and high ends of their rated capacity. 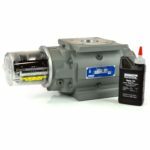 The meter’s rangeability (ability to measure gas over a wide flow range within a specified accuracy) provides exceptional over-all measurement accuracy on a “day-after-day” basis. The Dresser meter is designed to measure the volume of gases and gas mixtures with a high degree of accuracy. 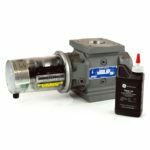 The industry accepted rotary type positive displacement operating principle supports permanent, non-adjustable accuracy by using precision machined two-lobe impellers encased within a rigid measuring chamber. Unlike other meter types, measurement accuracy is not affected by changes in gas specific gravity, pressure, or fluctuating flow. Dresser meters may be used from a few ounces to full capacity up of the meter’s maximum pressure rating with highly accurate measurement over a wide operating range. This equates to a lower total cost. The condition of a Dresser rotary meter can be verified by performing a differential pressure test while the meter is still in service. 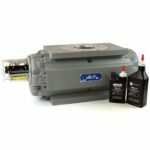 This simple and cost-effective preventive maintenance procedure contributes to a significant reduction in the whole life cost of the meter. As shown in the picture, two contra-rotating impellers of two-lobe or “figure 8” design are encased within a rigid measuring chamber, with inlet and outlet connections on opposite sides. Precision machined timing gears keep the impellers in correct relative position. 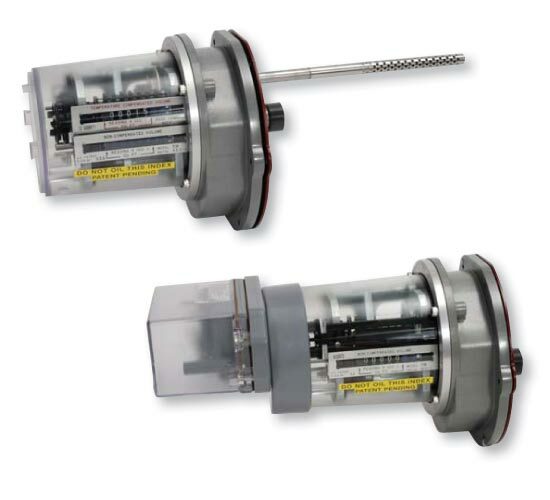 Optimal operating clearances between the impellers, cylinder and headplates provide a continuous, non-contacting seal. This second generation Micro Corrector has the enhancements customers have been asking for. Using the proven IMC/W platform, features were added that make it the easiest corrector to use. 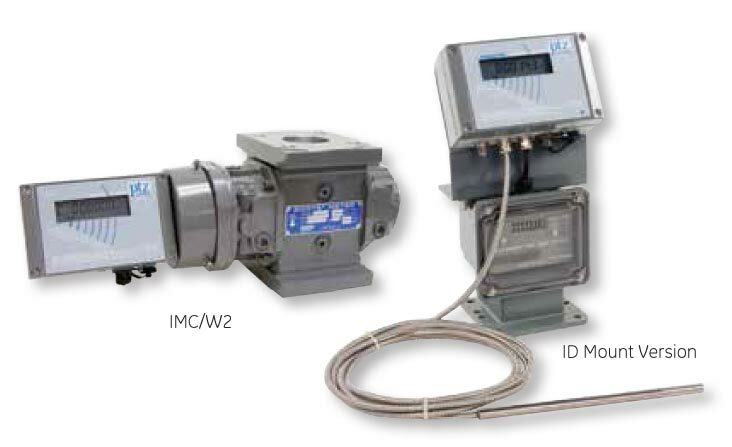 Functions were added that improve low flow measurement, enhance data logging, and lower operations and maintenance costs while retaining the great features introduced in the original IMC/W. 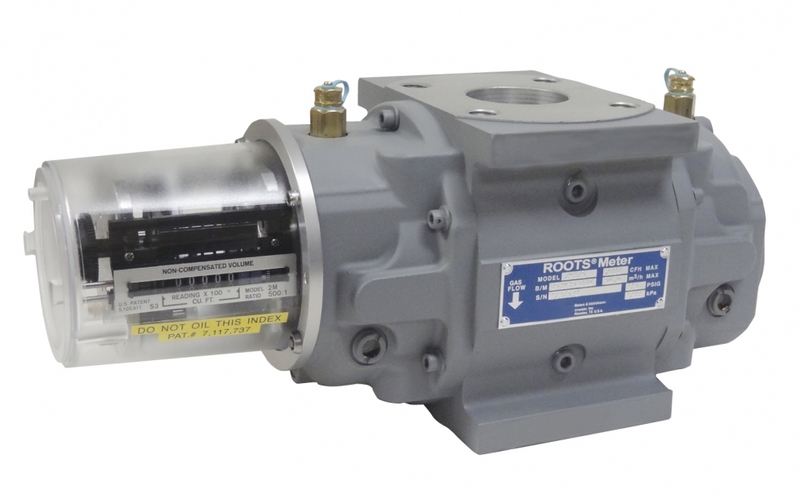 The ROOTS Micro Corrector, model IMC/W2, functions as a compact integral component of the rotary meter, rather than being an adaptation of a product that cannot take full advantage of the integration of meter and corrector. It’s the only integral corrector rated for Division 1 hazardous locations. 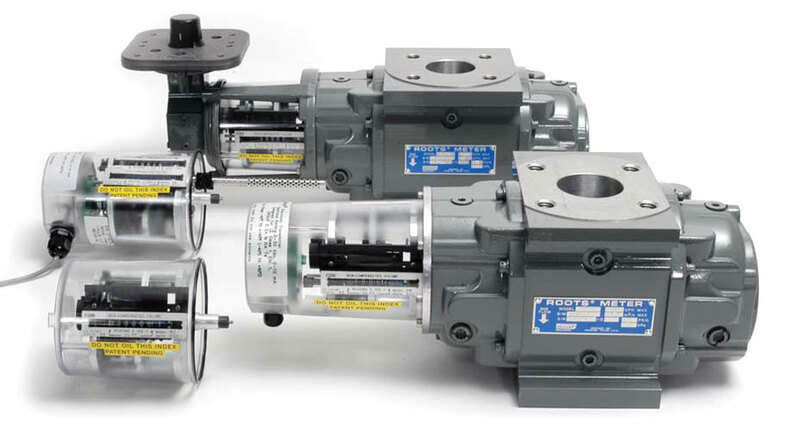 Model 5 Transfer Provers feature an integrated computer controlled system for verification and testing of rotary, diaphragm, and turbine gas meters. After the field meter is connected to the Prover and the test sequence is selected, the remainder of the operation is “hands-off”. Test sequencing is automatically controlled by the software settings and the test results are displayed on the computer screen. 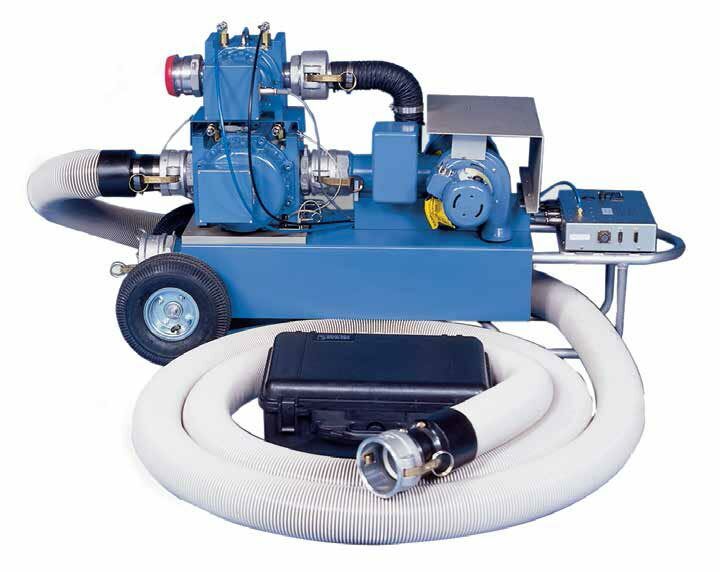 The primary components for all Model 5 Prover systems include highly accurate Roots® master meters as measurement standards, a personal computer (not included) for operation of the system software, easy-to-use Windows®-based software, and a blower system to provide a stable air flow through the system vacuum.